Authentic New Zealand. MGO 83. Kosher - KLBD. 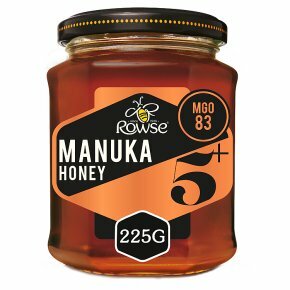 Rowse Manuka Honey is guaranteed 100% pure, natural & authentic Manuka honey from New Zealand. All our Manuka Honey is tested twice for its authenticity: at source in New Zealand and again on arrival in the UK. We measure our Manuka Honey using the non-peroxide activity (NPA) Activity rating system: The higher the rating, the higher the non-peroxide activity.